/etc/systemd/system/default.target (this by default is linked to the multi-user target) and the default runlevel would be defined in /etc/inittab file. 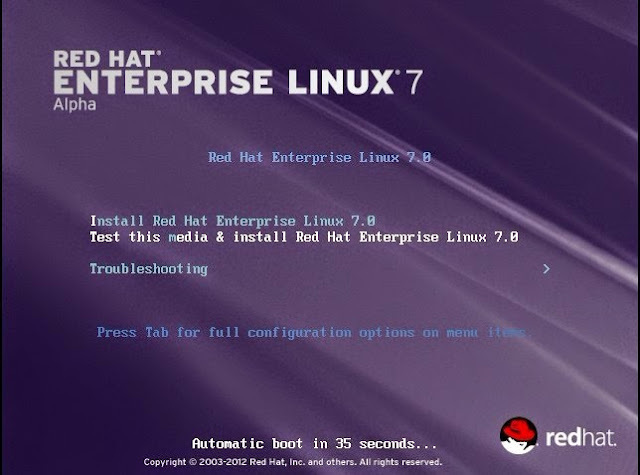 Host Name Change In Red Hat Enterprise Linux 7, as part of the move to the new init system (systemd), the hostname variable is defined in /etc/hostname. In Red Hat Enterprise Linux 6, the hostname variable was defined in the /etc/sysconfig/network configuration file. Change In UID Allocation By default any new users created would get UIDs assigned starting from 1000. Default UID assigned to users would start from 500. This could be changed in /etc/login.defs if required. File System Check "xfs_repair" "e2fsck"
XFS does not run a file system check at boot time. File system check would gets executed at boot time. - Inode and inode blockmap (addressing) checks. - Inode, block, and size checks. - Inode allocation map checks. - Inode size checks. - Directory structure checks. - Pathname checks. - Directory connectivity checks. - Freemap checks. - Reference count checks. - Group summary info checks. Difference Between xfs_growfs & resize2fs "xfs_growfs" "resize2fs"
xfs_growfs takes mount point as arguments. resize2fs takes logical volume name as arguments. KDUMP RHEL7 supports kdump on large memory based systems up to 3 TB Kdump doesn’t work properly with large RAM based systems. systemd is a system and service manager for Linux, and replaces SysV and Upstart used in previous releases of Red Hat Enterprise Linux. systemd is compatible with SysV and Linux Standard Base init scripts. Enable/Start Service For RHEL 7, the systemctl command replaces service and chkconfig. Using "service" command and "chkconfig" commands. - Start Service : "systemctl start nfs-server.service". - Start Service : "service start nfs" OR "/etc/init.d/nfs start"
- Enable Service : To enable the service (example: nfs service ) to start automatically on boot : "systemctl enable nfs-server.service". - Enable Service : To start with specific runlevel : "chkconfig --level 3 5 nfs on"
are not 100% compatible with the RHEL 7 systemctl command (according to redhat). The built-in configuration is located under the /usr/lib/firewalld directory. The configuration that you can customize is under the /etc/firewalld directory. It is not possible to use Firewalld and Iptables at the same time. But it is still possible to disable Firewalld and use Iptables as before. Network Bonding "Team Driver" "Bonding"
NFSv2 is no longer supported. Red Hat Enterprise Linux 7 supports NFSv3, NFSv4.0, and NVSv4.1 clients. Managing Temporary Files RHEL 7 uses systemd-tmpfiles (more structured, and configurable, method to manage tmp files and directories). Using "tmpwatch"